Every Friday I share a summary of links that have caught my eye over the past week. These cover a variety of topics and genres. There should be something for everyone. Except keyboard cats. There are no keyboard cats. How many can you recognise? 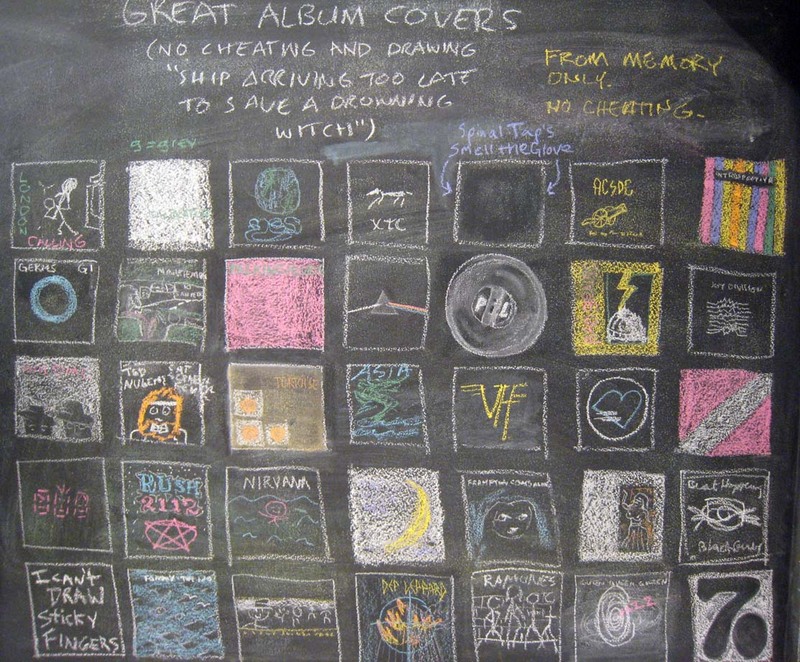 My favourite is the blank one that says “I can’t draw Sticky Fingers“. The new series starts on Channel 4 [in the UK] on June 25th – that’s only one week away! I can’t wait. Apparently this season they’ll be covering Twitter, amongst other things. And hopefully Richmond will be back. This is a disappointing article, written by Khan himself [who was quite entertaining – and by no means threatening – when I interviewed him], about the demise of the King Khan & BBQ Show. I think the Opera House need to get over themselves a little. This lovely piece of code makes music swing, and it’s brilliant! Ever wondered what swing versions of “Sweet Child o’ Mine” or “Money for Nothing” would sound like? Have a listen. Fascinating! The fact that this site exists is both fascinating and concerning. People, alone, dancing to “Pony” by Ginuwine. With video cameras. And uploading the clips to YouTube. New clips are added every day. I’m tempted to contribute.